Shibalba are a new signing to the Malignant roster, yet themselves are not a new project. Following their demo tape ‘Memphitic Invocations’ (from 2010), and contributions on four split CD’s over subsequent years, ‘Samsara’ now constitutes their formal debut album – and an extremely strong one at that. Specifically this Greek project lurks within ritual dark ambient spheres, and can be classified as a side project to the Greek black metal band Acherontas, noting such a scenario is not a unique one, having been replicated over the years by different black metal bands and musicians. Thus one of the most well-known and recognized comparisons for Shibalba would be the American group Equimanthorn – a ritual ambient project with links back to Absu (via past and present members). In fact the sprawling ritual soundscapes of Shibalba certainly have parallels with later day Equimanthorn, which should highlight the quality and seriousness of the both the musical and ritual presentation (…although where Equimanthorn focuses on a Sumarian occult/ ritual spheres, Shibalba’s thematic preoccupations seem to draw inspiration from Greek/ Mayan/ Buddhist/ Hindu mythos). With the word “Samsara” referring the cycle of death and rebirth to which life in the material world is bound, the musical framework is one which utilized both synthetic means (heavy synth driven atmospheres) and the real instrumentation (ritual percussion, chimes, vocal chants etc.). 5 tracks are featured, ranging from seven and a half minutes at the shortest and fourteen and a half minutes at the longest. On the opening piece ‘The Magick of Mirrors’ it features a hypnotic and swirling sonic miasma generated through sampled choral vocals and shrill synth derived orchestral tones, which later shifts to booming and driving ceremonial drumming. This composition gives way to ‘Dharma and Alchemy’, sounding as if it is a recording of an arcane ritual being performed in abandoned catacombs, where wailing chants and invocation based vocal proclamations are uttered against a backdrop of ritual chimes and heavy dose of inky black echoed reverberations. Likewise the sparse echoed soundscapes of the album title track features a range of real instrumentation, rhythmic drumming and elongated chants, which solicits a comparison with Funerary Call or perhaps Halo Manash. ‘Nekyia’ rounds out the album in sprawling guise – a spectral nightside evocation of chthonic drones and ritual percussive intent. With its strong driving instrumentation and forceful sound production provides ‘Samsara’ with both dynamism and presence. Shibalba’s music is extremely focused and skillfully executed, without being at all derivative of its sound or influences, or (potentially worse) suffering a cheesy aesthetic which is sometimes inadvertently generated by metal musicians attempting ritual/ ambient/ industrial music. 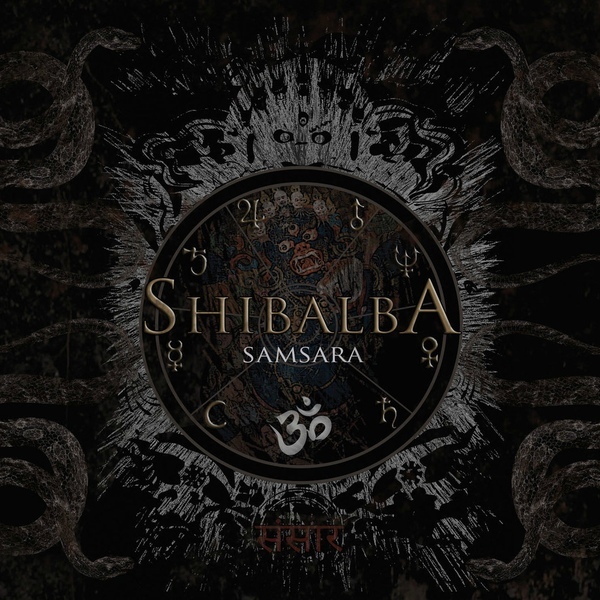 However it would also not be overstating the point to highlight that Shibalba clearly has a certain ‘crossover’ appeal, meaning it has a particular sound that will attract open minded underground metal listeners, as well as post-industrial devotees who have a penchant for ritual oriented material. This entry was posted in 2015, dark ambient, Malignant Records, ritual by noisereceptor. Bookmark the permalink.